When choosing a hair color to set off your complexion, the old rule of thumb is to match cool shades with cool skin tones and warm shades with warm skin tones, so your hair color looks natural even if it’s a far cry from the shade with which you were born. 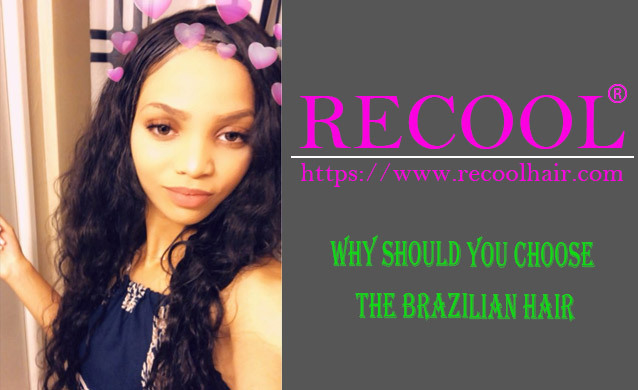 But this rule doesn’t apply to everyone—people with a neutral skin tone can opt for either, and of course you can always choose to color your hair with what you like whether ombre hair, virgin hair or pure color hair. Bottom line: with confidence, you can mingle anything. But if you’re wondering “huh, what hair color goes well with my skin tone?” Step one is finding out whether your skin’s underlying tone is warm, cool, or neutral. We suggest you refer to the following the several methods. If your skin tone is cool…it will have blue, pink, or ruddy undertones. That is to say, if you are suitable for magenta, blue, dark blue or black. Your veins will appear bluish in natural light. You probably prefer silver jewelry. You tend to burn, so the first of the blonde ombre, sandalwood brown, brown bluepurple or honey blonde hair would undoubtedly be it, if you prefer personal independence of conduct, you could add pink or flaxen to neutralize reduce transparency, especially nowadays, it is a fashion trends and the inspiration for quirky kids everywhere. Although it is very hard to control, bright shades of golden vibrate onscreen, thanks to their skin tone-enhancing superpowers, and attractive in so shines. If your skin tone is warm…it will have yellow, peachy, or golden undertones. That is to say, if you are comfortable with red, orange, golden yellow, or olive green. Your veins will appear greenish in natural light. Gold jewelry is your type. You could attempt to dye deep color, such as, caramel color, dark brow, emerald green, respberry brown or dark green, specially, dark green, when you have enough courage and boldness, you could hold this color, and you look so ethereal,graceful, a little cool and prominent makings and glamour out of the ordinary. If you have a neutral skin tone…there’s no obvious undertone in your skin color. Both warm and cool tones flatter you. You could attemt to all kinds of color, Hairstyle of body wave and loose deep , along with your punk style, accentuated the young girl. Say you’re a fair-skinned person who wants to choose a complementary blonde shade. If you have a cool skin tone, you’ll want to choose an icy platinum or opalescent shade. We like honey blonde hair.If you’re choosing a striking new hairstyle or color, try the new look in stages to see how it works. WILL YOU WANT TO KEEP YOUR COLORED HAIR HEALTHY?